Celebrate the opulent era when Australia’s first tourist destination kicked up its heels for a decade-long party. The Roaring 20s Festival and all that Jazz will be held throughout the Blue Mountains, Lithgow and Oberon region from February 1 to 23, beginning with the Blue Mountains Charleston Challenge in Leura Mall. The challenge on Saturday, February 1, aims to set a new Guinness World Record for the greatest number of costumed people to dance the Charleston (we set the record with 276 in 2013 – let’s make it 300 in 2014). After dancing their way into history, revellers can retire to the white linen-covered tables under a marquee to indulge in a picnic hamper of locally made and sourced fare during the Long Lunch in Leura. The first day of the festival will culminate in the oh-so-posh Art Deco Ball at the Carrington Hotel at Katoomba, herself kicking up her heels to commemorate her 130th birthday year. The celebration of decadence, architecture and jazz music will continue with a dizzying round of costumed balls and high teas, historical walks, fashion parades, dancing and jazz music. There will be 1920s-themed transport rallies such as the Highlands Steam & Vintage Fair at Oberon and Trains, Trams & Model Ts at Valley Heights Locomotive Depot Heritage Museum; film nights; garden tours; murder mysteries; radio plays; vintage sports and more. Jenolan Caves will commemorate the 1927 royal visit by the Duke and Duchess of York with an historic Chifley Cave tour, a Roaring 20s Glamour & Gowns Ball at Lithgow and a Boom and Bust Museum Tour and Garden Party at Eskbank House at Lithgow. Festival producer Sandy Luxford said: “I love the fashion of the 1920s: women were given the freedom to get rid of the corsets from their wardrobe, flatten down their breasts and wear comfortable straight dresses. The festival has become such a roaring success that it now has an assistant producer, Angela Corkeron. “I love the outrageousness of the Charleston, the sensuous Tango and the cheeky Black Bottom dance,” she said. 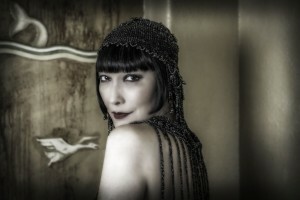 As well as ambassador Charlotte Smith of the Darnell Collection of International Vintage Couture, popular TV presenter Claudia Chan Shaw is the patron for the 2014 Roaring 20s Festival. “This was the era where people dressed up and wore fabulous clothes,” she said. Ms Chan Shaw said she related well to the era because 1920s fashion mirrored much of her own wardrobe. In fact, some of Claudia’s favourite pieces are from the 1920s-inspired range designed by her mother, well known fashion designer Vivien Chan Shaw, in the 1980s. Blue Mountains Lithgow & Oberon Tourism chairman Randall Walker urged festival goers to “spoil yourself with a short stay and become fully immersed in the halcyon era of extravagance”. 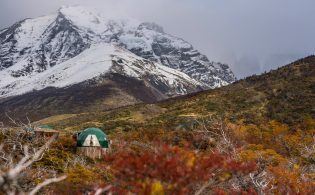 “The 1920s was when the Blue Mountains, Lithgow and Oberon region really came into its own and revelled in its glory as the nation’s premier tourist destination. “Some of Australia’s finest mansions and grand hotels like The Carrington, the Mountain Heritage, Palais Royale and Caves House at Jenolan Caves were well established and others like The Paragon, Australia’s oldest cafe, were opening in such fabulous style that the area was renowned as a decadent playground for the super rich. Registrations are now open for the Blue Mountains Charleston Challenge and bookings are welcome at other events. 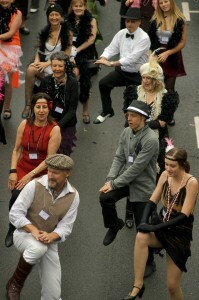 Go to www.roaring20s.com.au for a full program of Roaring 20’s Festival and all that Jazz! events, to register for the Blue Mountains Charleston Challenge and for information about accommodation packages and special offers available.